Quercetin in Skincare Products: How Effective Is It? Every skincare brand has its antioxidant darling. Caudalie has resveratrol (from grapes). Nivea has co-enzyme Q10. Korres has quercetin. Literally no one had heard of quercetin before Korres proudly showed off its name on all its skincare products. Now, it’s on everyone’s lips. Rumour has it, it can reduce wrinkles and make your skin firmer and more elastic. Can it deliver? What The Heck Is Quercetin? Quercetin is a member of the flavonoid family, a group of antioxidants with soothing properties. Flavonoids are the pigments that give fruits and vegs their beautiful rich colours. You’ll find quercetin in apples, tea, olive oil, leafy vegs like cabbage and spinach, citrus fruits like lemon, red wine and grapes – to name just a few! What Does Quercetin Do For Your Skin? Here’s the catch: scientists have just started studying quercetin, so we don’t know too much about it, yet. But, what we know is good. Quercetin is a flavonoid, so it has antioxidant and anti-inflammatory properties. It can destroy the free radicals that cause premature wrinkles, keeping your skin looking younger for longer. Let’s be clear: quercetin helps prevent new wrinkles from forming, it can’t get rid of the ones you already have. Quercetin also soothes inflammation, another main cause of wrinkles. It helps with eczema, too. 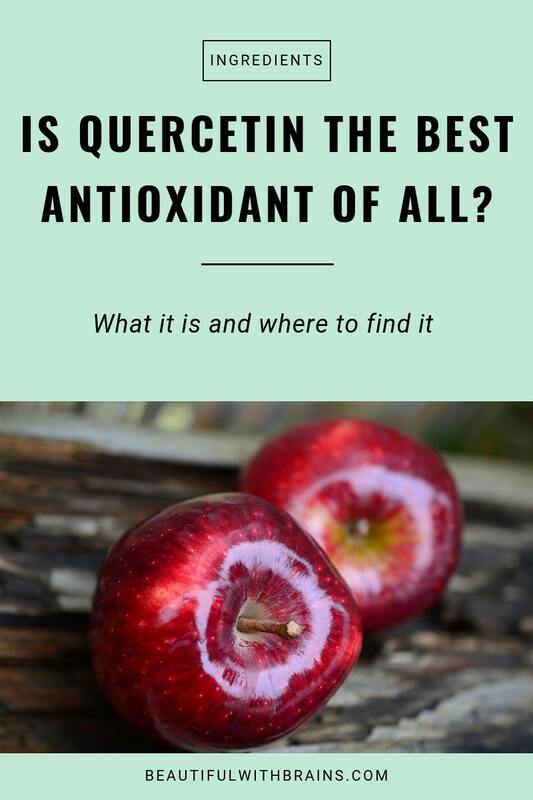 What Are The Best Skincare Products With Quercetin? Quercetin isn’t the miracle worker Korres claims it is (surprise, surprise!) but it can help you keep wrinkles at bay. I’m a fan. Have you ever used products with Quercetin? Share your experience in the comments below. I used the Korres quercetin primer before and it was very nice. Once in a while, people would promote a new ingredient that would do more or less of the same with the ones we already knew just to sell products. I hope quercetin works on skin, although taking orally is not a bad option, either. I’ve used the Quercetin primer and liked it too! I did notice that the active ingredient was toward the end of the list, which leads to believe there isn’t much in there and could possibly just be marketing mumbo jumbo. Taking supplements orally does seem to be more effective than applying things topically – I think that goes for any type of ingredients. Thanks for this post 🙂 I’ll definitely keep that in mind next time I hear about this ingredient. Thanks for this post, gio! I am still waiting to get my hands on the Korres Quercetin primer, etc. I tried a sample of its day cream with SPF12, but the sample lasted me only about 5 application, so can’t tell if it works or not. Vonvon, you’re welcome. 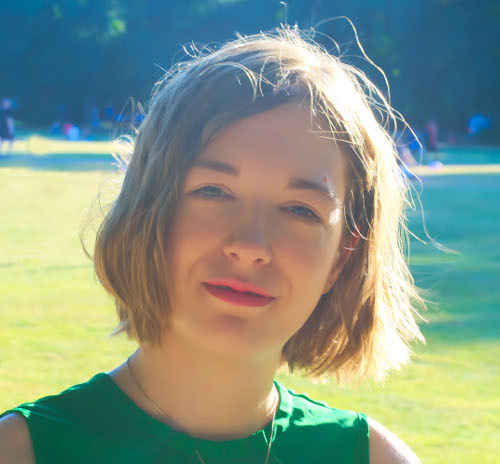 I have to say I am very tempted to try the primer too afte reading all your comments. I’m sure it works well but I highly doubt that’s because of Quercetin. It does soften the skin nicely – it does not reduce wrinkles, but my skin does look great. The only thing I dislike about it is that it smells like playdoh. As to whether I’ll keep using it…well, it’s effects aren’t so fantastic that I’m bowled over. I may try something new to see if there’s a better product. I read great things about l’occitane. Anita, thanks for your comment and sharing your experience with the Korres cream. Sounds just like a basic moisturizer then. Quercetin is yellow so putting it in a skin cream at concentration larger than several % would be problematic. Sammy, that’s true. But there’s no point in putting too little of it either.